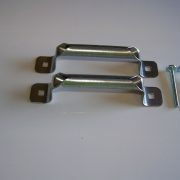 Lift handle for garage doors, truck doors, trailer doors and any other type of door. This drop lift handle is a good handle for drawers or slides of many types. Handle drops out of the way when not in use. 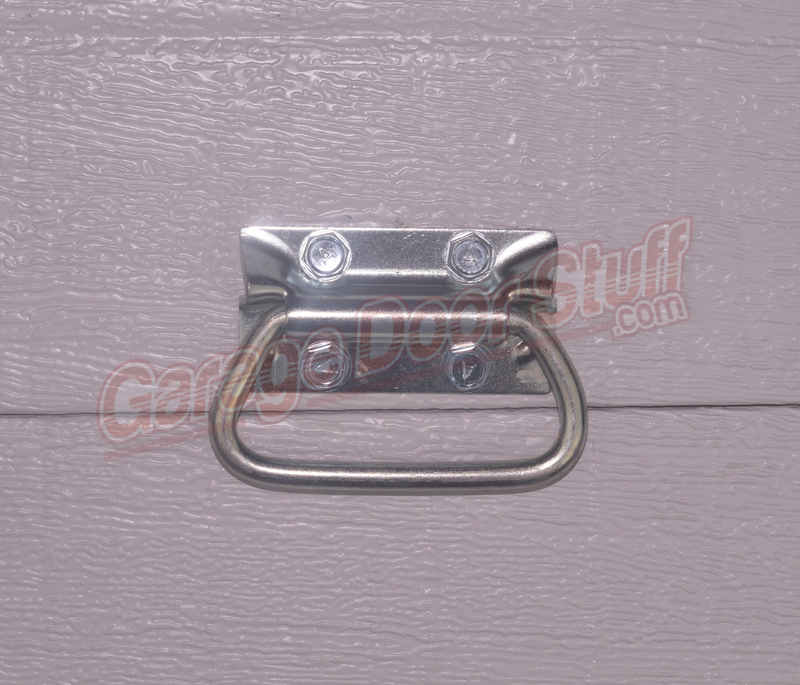 5/16″ round zinc plated handle. 4 – pre drilled 3/16″ holes, can be drilled out to 1/4″. This drop lift handle is common to truck and trailer doors. 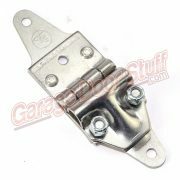 Heavy duty go to handle that can be used in hundreds of useful ways. 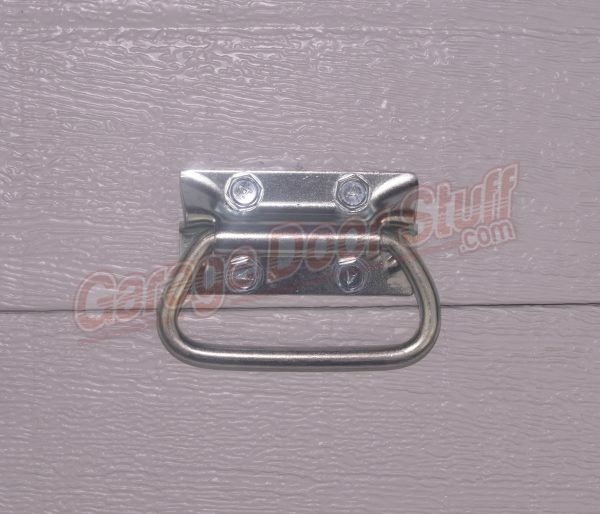 Excellent handle when something heavy duty is needed. Great as a pull also, good on drawers and sliding material. 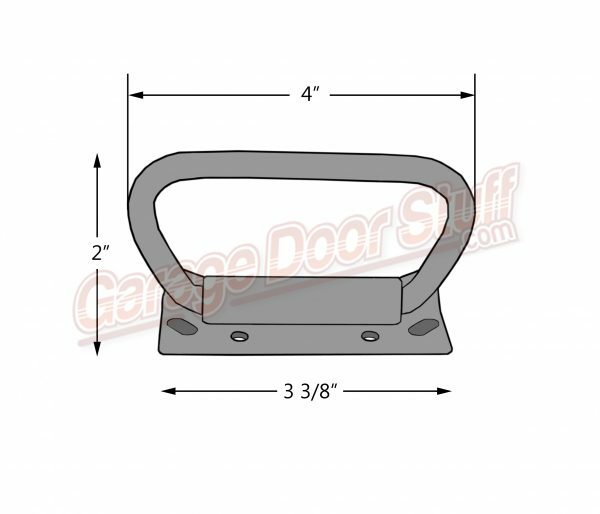 Gates & doors, used as pull or handle. 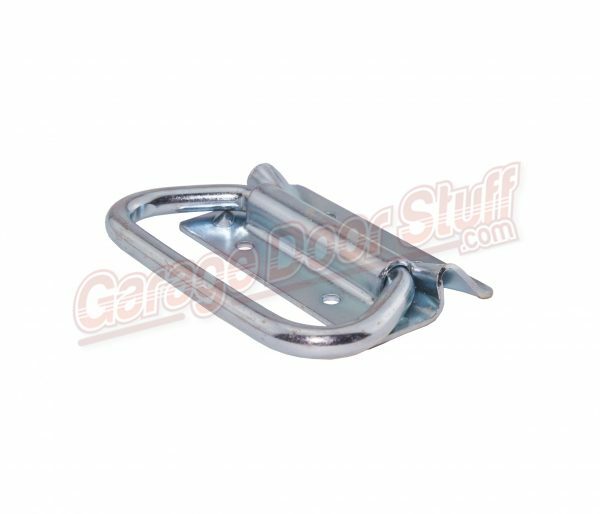 The folding feature makes this drop lift handle a go to item we carry on all our trucks and keep a supply around the shop as well. 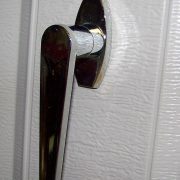 We use this drop lift handle indoors and out. 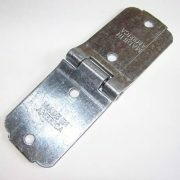 We carry other lift handles and many other parts for garage doors and truck and trailer doors. Always in stock for same or next day shipping 6 days a week. We ship fast and we ship free. If you need this or any of our items in bulk, send us an email with your requirements and shipping destination and we will provide a quick quote. 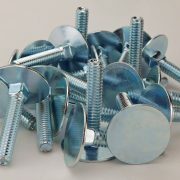 All our products are available in any quantity.